Prior to writing this post, I searched with no success to find a tutorial on tying a Menger Sponge. But, I believe that if you first learn to tie the smaller cube, you will be able to expand that knowledge into creating the Menger Sponge. As always, I will explain how I tied the Sponge and if you can't get it on your own, let me know and I'll create a tutorial on the tying process. Gather 8 strands of paracord (4-five feet strands and 4-three feet strands). Follow the Super Brick Stitch tutorial for the main structure of the sponge. The difference in the Super Brick Stitch tutorial and the Menger Sponge is the holes in a four sides of the cube. You need to start by using the four long strands on each wall section of the cube, use the shorter strands for the mid sections of walls. Once you tie the Starter Brick Stitch, instead of continuing as the tutorial shows, you need to flip it over and then continue tying. Once you have two levels tied, begin tying four columns, but stop when you complete two levels. Finish the design by tying two more "full" levels. 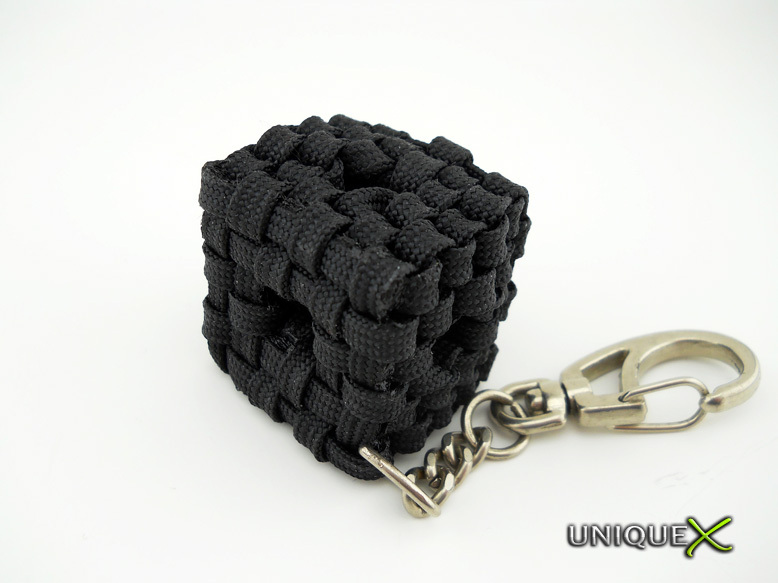 To tie the Paracord Cube, follow the instructions by the BoondoggleMan, which uses four strands of paracord (approximately two feet each). 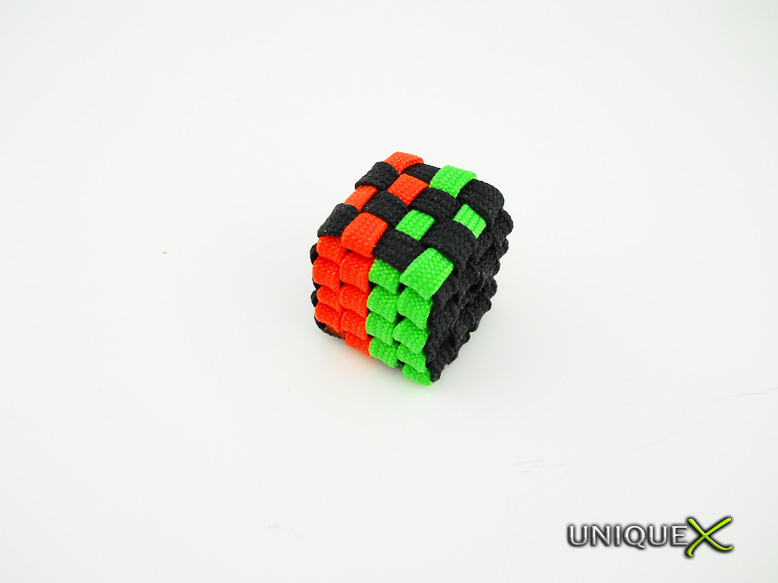 A new friend, Pablo has created a tutorial for tying the smaller paracord cube on his blog. It's an interesting paracord blog that I suggest visiting. To view the original blog post, click here. To view the blog post translated in English, click here. 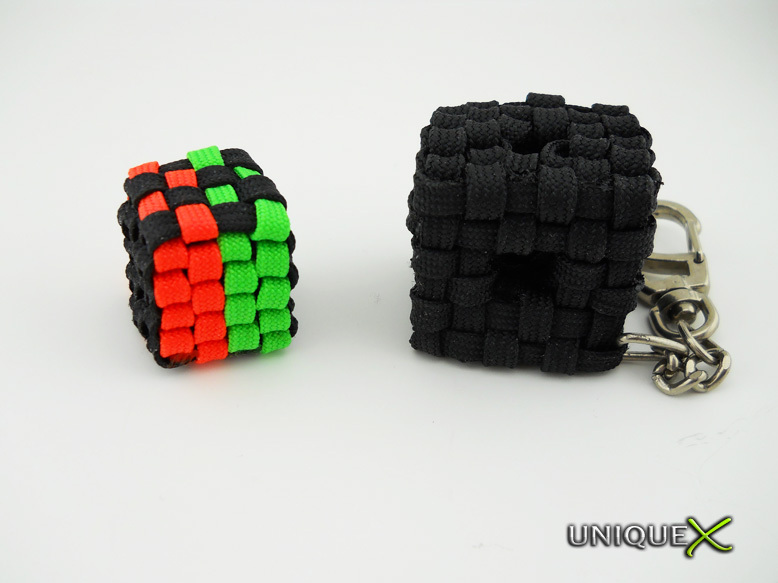 If anyone knows of a Menger Sponge tying tutorial, please let me know and I'll add it to this post. Look at pablogil1.com, I have a photo collage for the cube. You can use it. @Anonymous: That's excellent, Paracord is bringing the gap between countries!